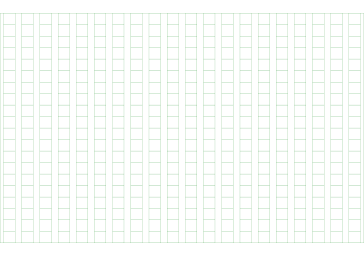 This genkouyoushi squared paper is used to write compositions using a grid. It originates in Japan, where it is used to practice writing. One kanji, hiragana or katakana character fits in each square.